Many rumors and fabrications from all sides in the case of missing Saudi journalist Jamal Khashoggi have been promoted on news channels and websites funded by Qatar, specifically on Al Jazeera. But Al Jazeera appears to be floundering, as it is running reports that are contradicting one another. For example, in one report it claimed that Saudi Crown Prince Mohamdad bin Salman has called Jared Kushner, senior advisor to the US president. And in another report Al Jazeera said it was Kushner who initiated the phone call with Prince Mohammed. Here’s a series of endless fabrications by Qatari media, claiming Saudi Arabia’s silence over journalist Khashoggi’s disappearance. In a report broadcasted on Saturday, titled in Arabic as “No Orders,” Al Jazeera claimed that the statement by the Saudi Interior Minister came after remaining silent for over 10 days. Al Jazeera also wondered why no official statements were issued by Saudi Arabia on the “Kingdom's keenness to protect the interest of its citizens”. The channel may have missed the fact that Saudi Arabia, in the early hours after Khashoggi went missing, has stressed in statements by the Saudi crown prince that the doors of the consulate in Istanbul are open for investigation. It also forgot the releasing of several official statements on the case. Last Saturday, the consulate in Istanbul announced the arrival of a security delegation consisting of Saudi investigators, and with the consent of the Turkish side, to participate in the investigations into the disappearance of the Saudi citizen. On Oct. 7, Saudi Arabia has issued a statement stressing its keenest to ensure the safety of its citizens wherever they are, adding that the Saudi authorities will follow up on Khashoggi’s case to reveal the whole truth. For his part, the Saudi ambassador to the United States, Prince Khaled bin Salman, stressed during previous days how what currently concerns the kingdom and the embassy the most is the wellbeing of the missing citizen Khashoggi. 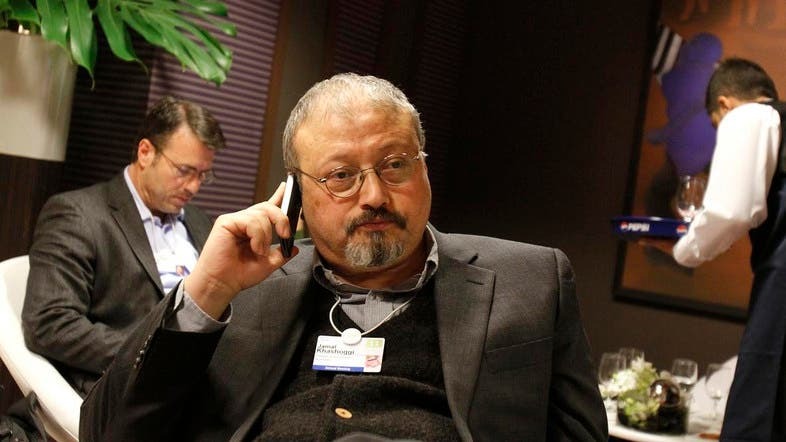 And about the report that Al Jazeera broadcasted, based on a Turkish newspaper report, claiming that an audio recording of what could have happened to Khashoggi may have been transmitted using his Apple Watch. The report said the Apple Watch doesn't have the same "Touch ID" fingerprint technology as the iPhone and the iPad. A Buzzfeed News technology editor also wrote that the Apple Watch would need to know the WiFi password inside the consulate in order to operate, something that can not be available in Khashoggi’s case. Also, the report said even his fiancée, who claimed to have had his mobile phone when he entered the consulate, would have to join the same Wifi password to connect the watch with the iPhone. And in order for this to happen, the distance between both items should not exceed 30 feet.